There are times when you want to return an area back to natural or you want to see and experience the colors of nature. We have formulated 9 mixes for your consideration. This is a combination of perennial and annual flowers. Blooming predominately in the spring and early summer. It will grow to a height of 20-30″ depending on moisture available. 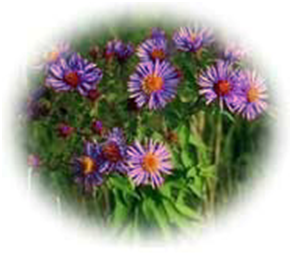 It is a mixture of blue, white, yellow, and lavender colors and can be planted in fall for spring color. The seeding rate is 7.5#/acre. This mix was designed for the areas along the Pacific Coast. It is a mixture of perennial and annual flowers. This mixture grows to a height of 20-25″ depending on moisture available. It can be planted in fall for spring color. The seeding rate is 5#/acre. This mix was designed for the arid area TTTof Southern California. It will work in the coastal as well as non-coastal areas. It grows to a height of 30″ and is a combination of blue, orange, white, and red colors. It can be planted in fall for spring color. The seeding rate is 6#/acre. When you want a lower growing product, this mix should be considered. It has a growing height of 12-15″ (depending on moisture available). 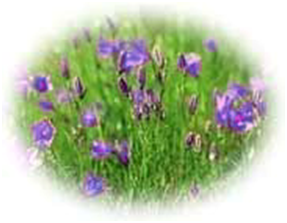 It is a mixture of perennial and annual flowers. The predominate colors are red, orange, and white. The seeding rate is 5#/acre. Sometimes you don’t have supplemental water available and you are looking for natural precipitation to get the product up and growing. This mix is designed for that environment. This is a mixture of grasses which require minimal water to germinate. 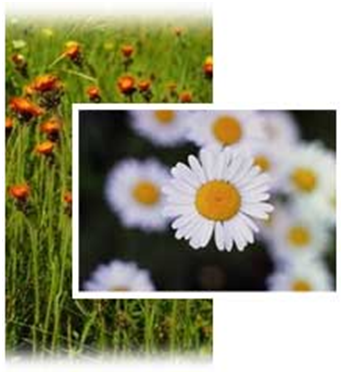 They will get established, bloom and drop seed and serve as a soil stabilizer. The seeding rate is 25#/acre. When the need is for native and you don’t have any water then this is the choice. Predominately grasses with a touch of clover to supply some self fertilization. This product is designed for the moisture that mother nature provides. The seeding rate is 25#/acre. Are you out in a desert and want some color? We have gone into the desert and collected the seed of those beautiful flowers. 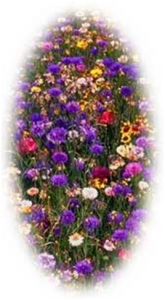 This mix includes annuals that bloom and drop seed for the next year. Moderate in height (15″), they are made up of an assortment of colors. The seeding rate is 7#/acre. When you have to put it back the way you found it, this is a mix to consider. The growing height of 30″ is not uncommon. This mix can be fall planted for spring color. Natural precipitation is enough to make this mix bloom. The seeding rate is 7#/acre. Do you want to liven up a marshy, wetland area? This mix is designed to work in high water areas. This mix provides cover for small birds and rodents. The seeding rate is 7#/acre.